Psalm 39:6 is a good example of the folly we're talking about. Man is a mere phantom as he goes to and fro: He bustles about, but only in vain; he heaps up wealth, not knowing who will get it. It reminds me of the parable of the rich fool in Luke 12:16-21. Having acquired too many goods to fit into his storage barns he decides to tear them down and build bigger ones that will hold everything, so he can relax and take life easy. But he had no sooner made that decision when he got a visit from the Lord. How far we've fallen from that advice! In America. For example, we've created such a materialistic society that it's taken on a life of its own. It's cheaper for the auto industry to give us rebates and low-interest loans, so we'll buy more of the cars they've already built than it is to shut down some of their assembly lines and make fewer cars. The system demands a certain level of production, whether people need new cars or not. The advertising industry motivates, manipulates, and cajoles us to spend, spend, spend to keep our economy moving. As a nation, we're spending money we don't have to buy things we don't need. (note: as of 2016, US citizens owe 747 billion dollars in credit card debt.) Marriages fail, children are all but abandoned and bankruptcies are skyrocketing. 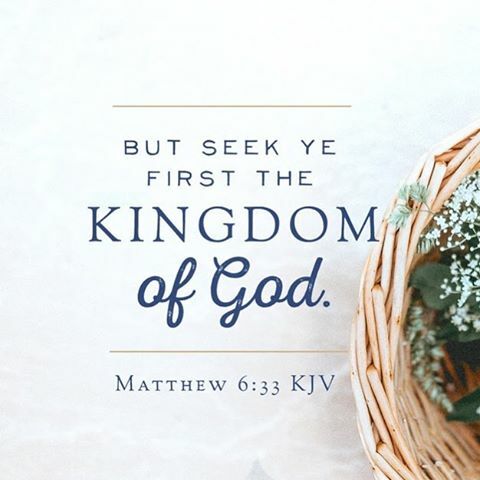 The idea of trusting the Lord for our security vanished from our culture long ago, and our dependence on material possessions as a substitute has caused many of us to become two and three income families just to fund our debt-ridden lifestyles. We've become slaves to this system in every sense of the word, with no chance of ever getting free by ourselves. Where's the security in that? Our only hope is to ask the Lord to help us begin downsizing right now, and that means terminating our illicit love affair with materialism and asking Him to forgive us for our unfaithfulness. This is not consigning ourselves to a life of poverty and deprivation, by the way. He has always promised prosperity in exchange for faithfulness, and you can read story after story about people who are happier, healthier, and leading richer, fuller lives after downsizing than they ever could have imagined before. But the history of God's people shows that if we don't choose to do this voluntarily, we'll eventually be required to do it forcibly. Delight yourself in the LORD and he will give you the desires of your heart, says Psalm 37:4. If poverty or economic enslavement were meant to be the lot of believers on Earth, this verse is at best misleading and at worst downright cruel. So if that's what we're experiencing, maybe we've ignored the first part of the verse in our preoccupation with the second. Giving Him the 10% that's His is a good way to show your delight in Him. It says, "Thanks for the other 90%." Do it, and He'll soon make your remaining 90% bigger than your old 100% ever was. Give, and it will be given to you. A good measure, pressed down, shaken together and running over, will be poured into your lap. For with the measure you use, it will be measured to you. Luke 6:38. As we give so shall we receive. Are we skimping on His share? If so we're only hurting ourselves. Rich in every way includes prosperity without debt. The lesson is clear. The Israelites failed to obey the Lord in these matters and wound up losing everything. The Lord is patient, but His patience is not inexhaustible. Eventually, He has to put a stop to such disobedience because if He doesn't we'll totally destroy ourselves and He loves us too much to let that happen. But most of that's Old Testament stuff, you say, ignoring Paul's teaching from Romans 15. Please remember that regardless of what you've been taught, the only consequence we, as New Testament believers, escape when breaking God's law is the loss of our salvation. His law was never revoked and carries no expiration date. Thieves and murderers still get caught and go to prison. Adulterers still destroy marriages and families. And excessive debt in our quest for material gain still brings untold stress and even loss of the very possessions we coveted. All this is irrespective of our beliefs. This is a most beautiful Psalm attributed to King David, that most everyone knows, or many have memorized. But do they understand the deeper implications that David was trying to convey about God Almighty that we serve and he served in Ancient Israel? Let us begin to explore the deeper meaning of what this Psalm 23 means to the individual and the instruction that God gives to each of us to deal with the anxiety produced by a world that is spiraling out of control. 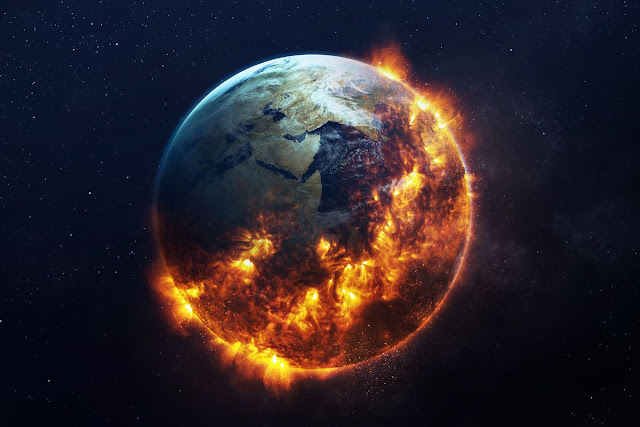 If a person is allowed to follow his human emotions, many of us would be filled with dread and fear of what is coming upon the earth. 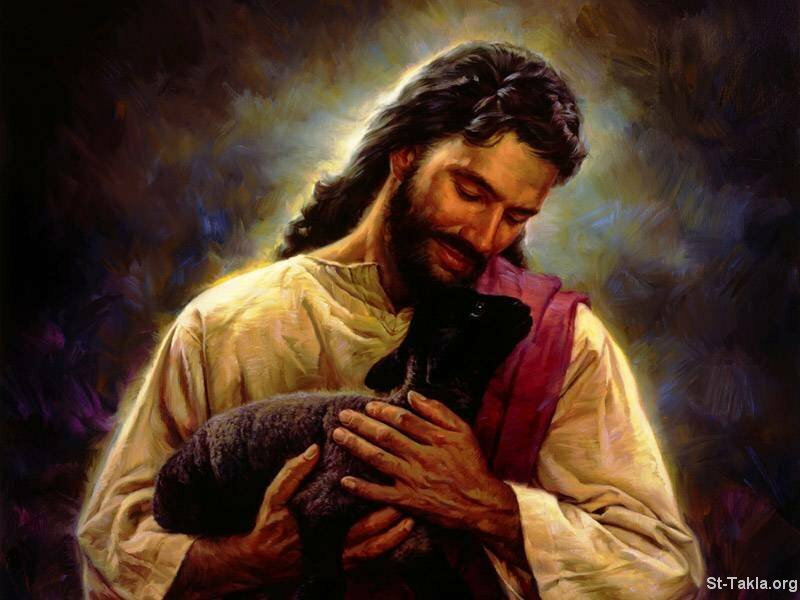 Like a good shepherd, our Lord and Savior delivers us from the feelings of anxiety and promises that He will always be with us, and will never forsake us. But first we have to submit to His direction, His leading and realize that we don’t know the way through this crooked path in front of us, which is our lives, and that since we don’t know the way, we need a shepherd that does know the way. We must look to Jesus for our guidance through this world in which we are but pioneers, sojourners in a land that is not our home. “If the eye is single, then the whole body will be full of light. If the eye is dual (or evil), how great is that darkness”. What’s He saying? He’s reminding us, that we need to keep our eye on Him, our Savior, Jesus Christ. Jesus is our light and if we keep our eye on Him, then our body and spirit is full of light, but if our eye is dual and looking elsewhere besides Jesus, then how great is that darkness. We will never find our way. We have to be willing to submit wholeheartedly to the leadership of the Lord God, our Shepherd. We must be willing to say, “I’ll go anywhere, I’ll do anything, I’ll be anything. I’ll carry any load, live anyplace you want me to live, do anything you want me to do. We must be willing to put away sin as He points it out to us. Now that doesn’t mean we’ll be sinless, on the contrary, but if we are following what the Bible tells us and follow the truth that we have, that’s 90% part of the battle , and the rest falls into place that is indefinite or unknown. “For God hath not called us unto uncleanness, but unto holiness.”. But let’s notice something in the beautiful Psalm 23 we are exploring. At the end of verse 3, David makes an assertion. Why does the good shepherd lead us in the paths of righteousness? He guides us “for His name’s sake.” That is for the sake of His glory, and the reputation of His own name and honor. What kind of reputation would a shepherd in Ancient Israel earn if everyone knew he was careless and irresponsible with his own sheep? Let me ask you another, more important question. What kind of reputation would God earn for Himself if He were careless with those who belong to Him and are in His charge? Those that are following and faithful to His call and responded to His invitation from the Holy Spirit to accept His free gift of grace? What is His promise? Understand that God’s name is on the line here, in your life, and others who have been redeemed by His own blood. He wants to show the world that He is faithful to provide for all your needs and guide you in righteous paths, and lead a holy life, as much as possible, this side of glory. So far we have seen that the LORD should be trusted as the good Shepherd, especially as One who provides for His own and faithfully guides them as well. But in shepherding in the land of Ancient Israel, it consisted of more than just providing for and guiding one’s sheep. The Shepherd must also PROTECT them. This of course, is the focus on verse 4. The phrase “valley of the shadow of death” most likely refers to the shadows cast by deep ravines with sharp cliffs, possibly in the Jordan valley. There is actually a place along the road to Jericho, I’m told, that is called “the valley of the shadow of death,” where robbers would hide and wait for the unprepared and unsuspecting victims. A shepherd leading his sheep had to pass these dark areas with the Shepherd guiding them. Maybe this was a time when David was fleeing from Saul, and his attempt to try and kill him, but the point of the verse, is that God uses His rod to deal blows to the enemy, not to His sheep. They are tenderly pulled out of danger with his staff, which was a long crooked pole that could pull a leg away from danger, or a tap on the side to get them back in line, tenderly and with love. He doesn’t whack us over the head with this rod, saying, “you bad sheep. Get back in line” and use a heavy rod on us. No, He lifts us up in His arms and gently leads us away from danger, but only if we trust and allow him to do so. Three things we must know. First nothing can separate us from the love of Jesus Christ, during these experiences. Second, He alone passes approval on what things are permitted to afflict us and the trial we must bear. And thirdly, He will only test us for our own good and deeper knowledge of Him. We need to know that God will never abandon us. He is not the hired hand, but the faithful Shepherd. “Verily, verily, I say unto you, he that entereth not by the door into the sheepfold, but climbeth up some other way, the same is a thief and a robber. “I am the good shepherd: the good shepherd giveth his life for the sheep.
. 12, But he that is an hireling, and not the shepherd, whose own the sheep are not, seeth the wolf coming, and leaveth the sheep, and fleeth: and the wolf catcheth them, and scattereth the sheep. 13, The hireling fleeth, because he is an hireling, and careth not for the sheep. In the Old Testament, God the Father is designated as “The Shepherd of Israel.” He is the Pastor of the Jewish nation. When Jesus declared Himself, “the Good Shepherd” in John 10:11, the Jewish people knew that He was claiming to be Jehovah, in the flesh and that He was proclaiming Himself to be God. God has lifted the name of Jesus above every name and He is the good Shepherd of the Church on earth. Moving onto verse 5 and 6 of this beloved Psalm, the picture here is of God as a gracious host, and throwing a banquet and sparing no extravagance for the invited guest. David says, “my cup overflows.” Which could either mean that the quality of the drink is absolutely superb or that the host had provided him with an abundance. Either way, the tremendous grace of God is evident in David’s experience here. In the land of Ancient Israel and surrounding areas, no one was more safe from his enemies, as when he was in a Bedouin Chief’s tent and a meal had been placed before him. His enemies could not touch him. His head was anointed with oil, a generous gesture from the host and implies honor and favor. Rather than being pursued by his enemies, (eg. Saul) the goodness and mercy and God’s loving kindness will follow him all of his days and he knows that he will dwell in the house of the Lord for as long as he lives. David envisions the direction his life will take as centered around fellowship and communion with His God, our God. The grace of God can accomplish that in our lives as well. Do we realize how gracious God has been to us in Jesus Christ? He has forgiven us our sins against Him and given us His Spirit to enable us to walk with Him. “And when he putteth forth his own sheep, he goeth before them, and the sheep follow him: for they know his voice. 13, Which things also we speak, not in the words which man's wisdom teacheth, but which the Holy Ghost teacheth; comparing spiritual things with spiritual. 14, But the natural man receiveth not the things of the Spirit of God: for they are foolishness unto him: neither can he know them, because they are spiritually discerned. 15, But he that is spiritual judgeth all things, yet he himself is judged of no man. We ought to rejoice in God’s grace toward us, rather than be overcome with anxiety over the circumstance the good Shepherd allows in our lives. Even in trials, He is right there with us. Unbroken, eternal fellowship with God! What fellowship! What joy divine! His coming Kingdom is a place where we will be in eternal fellowship with our Shepherd, King Jesus Christ. He’s building us a mansion right now. And it’s not here, but there in Heaven, somewhere, out there beyond the stars. He’s coming to bring us to His place at the future rapture of the church. We are going to Him, not the other way around. No one says it better than Kyle M. Yates. “It is all made possible because of the love of God for us and the sacrifice of Jesus Christ who paid it all that we might be ransomed. He died in our place. We received eternal life through faith in Him as our crucified and risen Saviour. The condition of our salvation is faith in Him. The real ground of our redemption is the blood of Jesus Christ. He died and rose again for US. Now He lives in US. God the Father is the source of our salvation. God the Son is the channel through which it comes to US. God the Holy Spirit is the agent who makes it effective in US. His provision for US is the costliest transaction ever conceived in the heart of God. It took the precious blood of His own Son to pay the debt. We enter into the full realization of this salvation by complete surrender to Him with the certain trust in Him to provide all our needs. We continue in Him as the Shepherd continues constantly with US.” (Preaching from the Psalms, p. 74). Think on that: "He has risen from the dead and He has ‘equipped you in every good thing to do His will.” He “works in us to do that which is pleasing in His sight.” It is all done to glorify Him forever and ever. The word for “appear” means “ to make visible, clear, manifest, know, to uncover, to lay bear, to reveal.” One day he is coming and every eye will see Him. It will be at banquet of awards in heaven. He will honor those who have been “good and faithful,” It is another trophy of grace, our crowns of gold upon our heads. Under-shepherds will “receive the unfading crown of glory.” It will not be a bouquet of flowers that will fade and die and it won’t be a wreath that will fade away in a day or two. It won’t be the applause of men that diminishes over time. No, it will be the eternal crown of Glory that we will cast at His feet to worship Him on that day. Have you found the LORD as your Shepherd? Believe right now, that you’re a sinner. Admit that you have fallen short of the mark to stand before a Holy God. Believe in your heart that God has raised His Son Jesus from a grave in resurrection after being crucified on a cruel cross. Believe that He came and died for your sins, my sins and wants only to save you from the penalty of death that we all deserve for sinning against God. Believe that He ascended to Glory to sit at the right hand of the Father God in Heaven and waits only for the signal from the Father to come reclaim what He has already bought with His own blood…His creation, including YOU. I ask you to make that prayer right now, with your mouth, confess the LORD as your Savior, and follow Him in obedience in water baptism. “ A thousand shall fall at your side, and ten thousand at your right hand, but it will not come nigh thee. This is a time that does try a man's soul, but those who look to the “Good Shepherd”, need not fear, but confidence by faith, in the provision's of God. This is Pastor Mike Taylor, praying you will find my Good Shepherd, my Rock in this life, my firm foundation. May God richly Bless you. Contact me at realteam1999@sbcglobal.net for comments , prayer, or biblical answers to your questions. Or visit me online at my ministry blog at www.pastormiketaylor.blogspot.com, May God richly bless you all.